The stock is down 1.8% Wednesday as the company’s shareholder meeting approaches. Tesla’s VP of Finance, Susan Repo, has left to become CFO of another company, Bloomberg News’ Dana Hull reported late Tuesday. 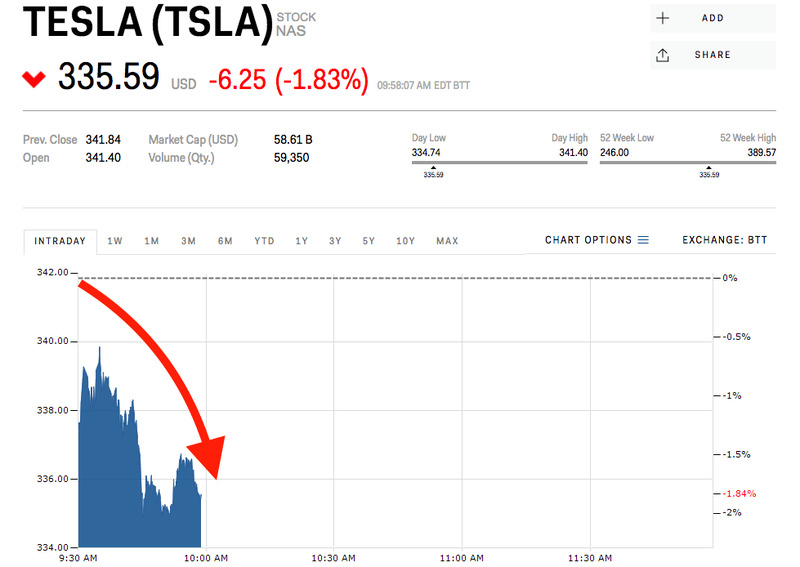 The departure comes less than a week after Tesla’s chief accountant Eric Branderiz left the company for “personal reasons,” the company disclosed on March 7. A meeting of Tesla shareholders is scheduled for March 21st. Ahead of the meeting, investors will vote to approve CEO Elon Musk’s performance award, something the board recommends. 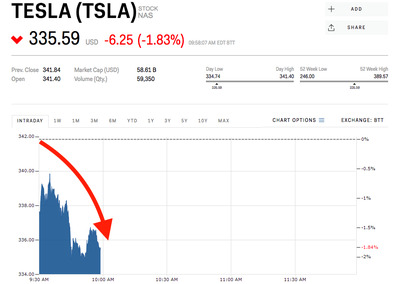 Musk has said he won’t take his $US2.62 billion pay package – one that could be worth up to $US55.8 billion – unless the company reaches a market cap of $US650 billion, more than 10 times its current market cap of $US58 billion. Influential proxy firm Glass Lewis is advising investors to vote against the plan, saying the cost is “staggering.” Based on its own models, Glass Lewis says Musk’s performance award should be valued at company at $US3.7 billion.